﻿Halo all Malaysian teachers, please take a look at the compiled collection of Rancangan pengajaran tahunan KSSR and KBSR for 2011 You can find Rancangan pengajaran tahunan KSSR Bahasa Melayu, Rancangan pengajaran tahunan KSSR English, Rancangan pengajaran tahunan KSSR Sains and all others at the ' Lesson Plan' link right above or click here. hi there! The link seems to be ok here. But dont worry. I have it already changed for you though. In fact, some of the RPT are newer version now. So, quick check them out ! Thanks and keep me informed. The file for Pendidikan Sivik dan Kewarganegaraan Tahun 6 cannot be open. It appeared 'cannot be found'. Why? Can you post a sample of 'Rancangan Mengajar Harian'(Daily Lesson Plan) for English subject Sekolah Rendah? 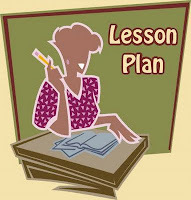 It will help me and other teachers to write their lesson plan correctly. hi there! I have fixed the HSP Pen Sivik links. Thanks for your valuable info! As for the sample lesson plan, I have put it in the " Teaching Aids/ Question Bank " section. You can find it there. Hope it helps ! Thanks. hi there! thanks for your post. it is very helpful. by the way, do you have an update version of year 3 RPT based on text book? Hi Admin, I've tried 2 find HSP for Maths KSSR year 2 but thr seems 2 b none. how can i get it? thx. Hi admin, hope u can help me with RPT KSSR Year 2. I can't download it. Could u please explain on how to get the RPT? Thanx for the help. hi.. RPT P.Moral Tahun2 KSSR tak leh bukak lah..
link has been fixed. please check. sorry for any inconvenience. hi..how can i hack this website thanks..